Heat treating is used as a secondary die casting process, after the initial casting phase. This process is used to improve the mechanical and physical properties of an aluminum die casting. This process consists of the heating and cooling of a die casting, which does not change or affect the shape of a casting. This will greatly improve the die cast part’s strength, hardness and electrical conductivity. In addition, Heat Treating also improves the finish machining of a aluminum castings. Preheating / Homogenizing – The first thermal operation applied to aluminum ingots prior to hot working. The main objective of preheating is greatly improved workability. Homogenizing allows for the reduction or elimination of chemical segregation and dendritic structures within a die cast part. Annealing – This heat treating operation will remove stresses or soften the material for improved machining response, change physical or mechanical properties and can produce a defined structure. Hardening / Quenching – Hardening through water-quench, oil-quench, forced-air quench or still-air quench will result with improved mechanical properties, toughness and hardness of the aluminum alloy structure. In conclusion, our combination of first class heat treating equipment and personnel provide effective heat treatment services. 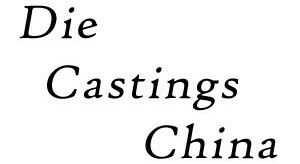 Die Castings China has the capability to provide many different types of treatment options for our customers.